Click on photos to see details. This spring as our fruit trees began to leaf out and grow most of us noticed that they were not flowering and growing properly. That is because they did not receive enough hours of chilling. Cool weather and short days in autumn cause most fruit trees, berries, and vines to lose their leaves and go into a state of dormancy, which protects them from winter freezes. Subtropical plants like citrus and olives do not lose their leaves, but they still have a short dormant or resting period. While dormant, trees will not begin to grow normally until they have received enough hours of cold temperature, below 45oF. This is called chilling. Chilling breaks down internal inhibitors and helps fruit and flower buds develop properly. 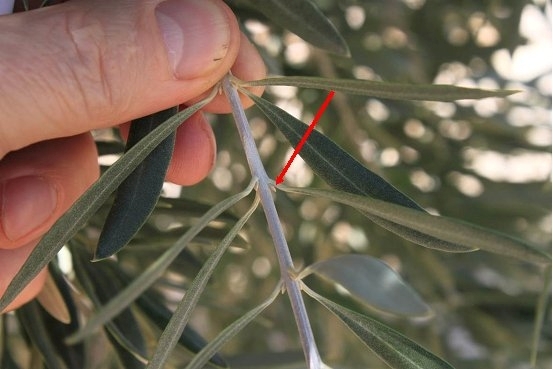 A lack of adequate chilling can result in weakened trees, poor bud break, bud drop, spread-out bloom, poorly developed flowers, and even a complete lack of flowers depending on the type of fruit tree. The number of chilling hours (below 45oF) required by fruit trees varies from about 100 for figs to over 1,000 for apples. It also varies by variety within each species. It is even more complicated than that. 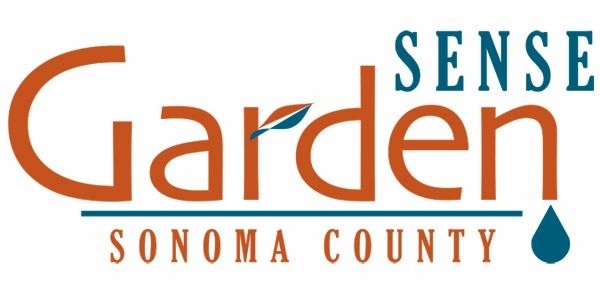 Using the old system of measurement, which just adds up the number of hours of temperatures below 45oF (November 2013 through February 2014) we had 1,339 hours in Santa Rosa. This is slightly above normal, as the historical average is about 1,200 per year with a range of 950 to 2,012 hours. Consequently, we would not expect to have seen any abnormal growth this spring, but we did. This occurred because not all chilling hours are equally effective and because chilling hours accumulated at night can be cancelled by warm daytime temperatures. 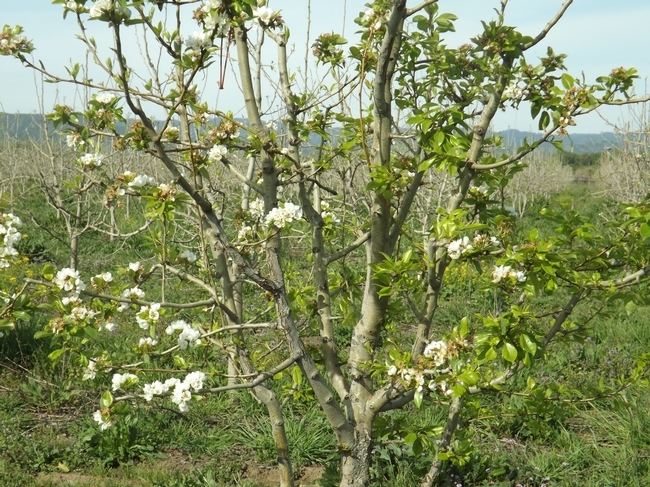 To make the chilling system more accurate and useful, several University of California and other fruit tree researchers around the world have been testing another chilling measurement model that places more emphasis on temperature portions between about 35oF and 55oF, which are more effective in breaking dormancy than colder temperatures. It also takes into effect the negation of chilling hours when temperatures exceed about 60oF. This is because warm sunny days above 60oF, of which we had many this last fall and winter, reverses the portion of chilling obtained when it was cold at night. 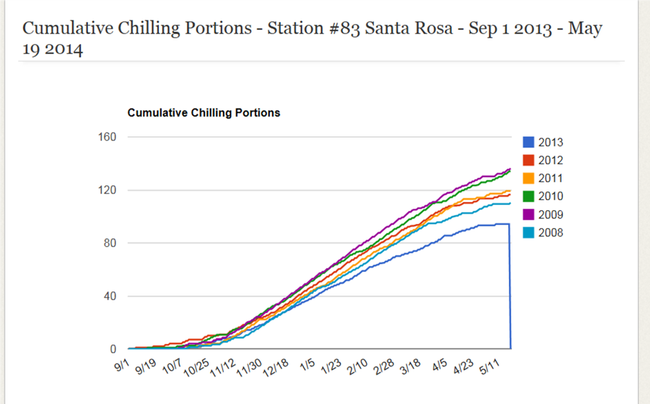 This system is much more accurate as can be seen in the following chart of chilling portions over the last five years. It shows that 2013-2014 was the lowest in chilling hours. “Fashion Fiesta” was this year's theme for the Sonoma County 4-H Fashion Revue. The event was held on April 19th, 2014 and was well attended. 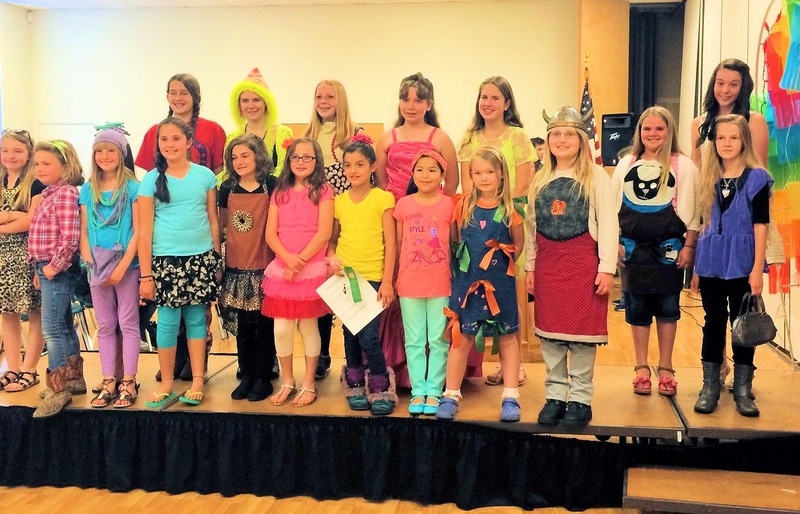 This year we had 9 different categories for the 4-H members to choose from, they were: Traditional, Upcycled, Wearable Arts (Embellished), Needle Arts, $40.00 Purchased, Textile (Quilted, Woven or Felted), 2 State Fashion Revue Challenges, Denim and Apron, and the most popular County Challenge. Each member who participated at the event wore an outfit that they either sewed, purchased or created with knitting, crocheting or embellishments. Modeling before the judges was first on the agenda, where each member would explain how they created their outfit. If they entered the Purchased category they needed to explain how much money they spent for the entire outfit including accessories, which had to be no more than $40.00, what the amount of money saved was and how versatile the outfit would be with the rest of their wardrobe. The Aprons that were sewed for Apron category, could only be made using either the McCalls patterns 6132 or 6476. For this year's County Challenge category each member took home a pre-cut piece of dye-ready quilted fabric (that was generously donated to the event by Bella Notte Linens) in the shape of a Serape. They were then encouraged to make it uniquely their own, by dyeing the fabric, adding applique, or with other means of embellishment. This was a great day of clothing & fashion for everyone who attended. 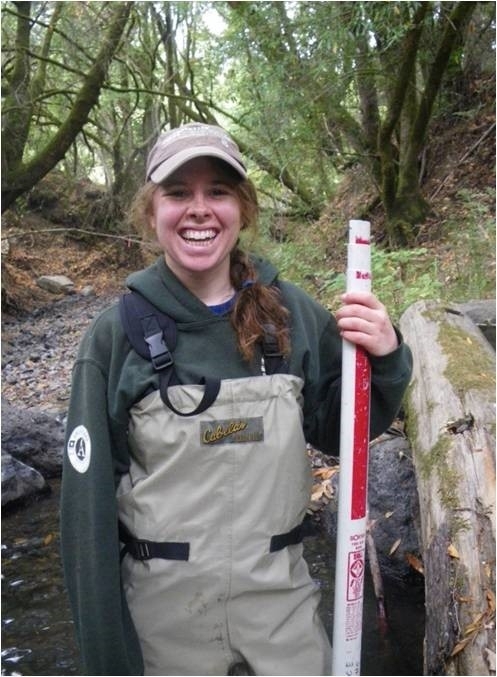 In March, Amelia Johnson (California Sea Grant/UCCE Sonoma) along with Tim Ryan and Will Boucher (Watershed Stewards Project, AmeriCorps members with California Sea Grant) represented the Russian River Coho Salmon Monitoring Program at the 32nd Annual Salmonid Restoration Federation Conference in Santa Barbara, California. Amelia (pictured) presented data from the coho program during her talk “Are low summer flows limiting survival of salmonids at the stream and watershed scales in the Russian River watershed?” Amelia discussed data from the 2013 summer snorkel and fall flow surveys the coho program conducted across the watershed. Data showed limited habitat availability during the peak dry season for coho salmon, due to dry and intermittently flowing stream reaches. The continued collection of this data could help prioritize future restoration and water conservation efforts as well as hatchery coho stocking by the Russian River Coho Salmon Captive Broodstock Program. My daughter, Gianna, and me. 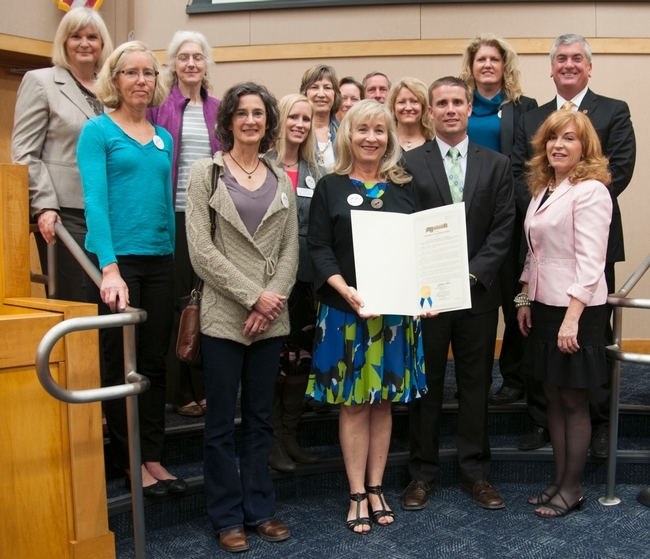 On Earth Day, April 22, 2014, UCCE Sonoma County was presented with a Gold Resolution by the Board of Supervisors of the County of Sonoma in recognition of the 100th Anniversary of the Smith-Lever Act. 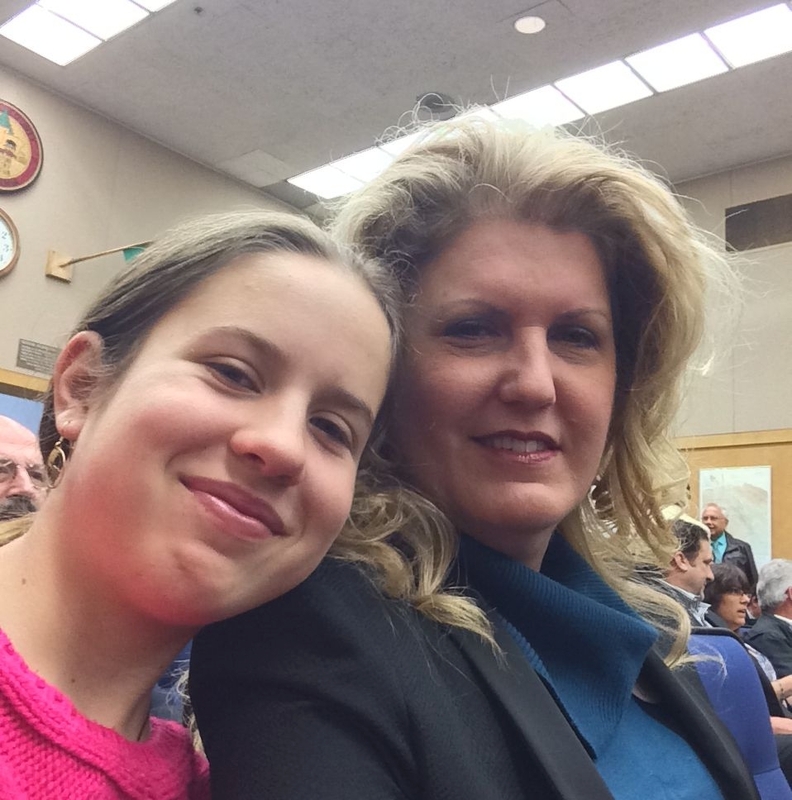 Nine members of the UCCE Sonoma office, and one reluctant 4-Her (the authors daughter pictured here), attended the Board of Supervisors meeting to accept the recognition. 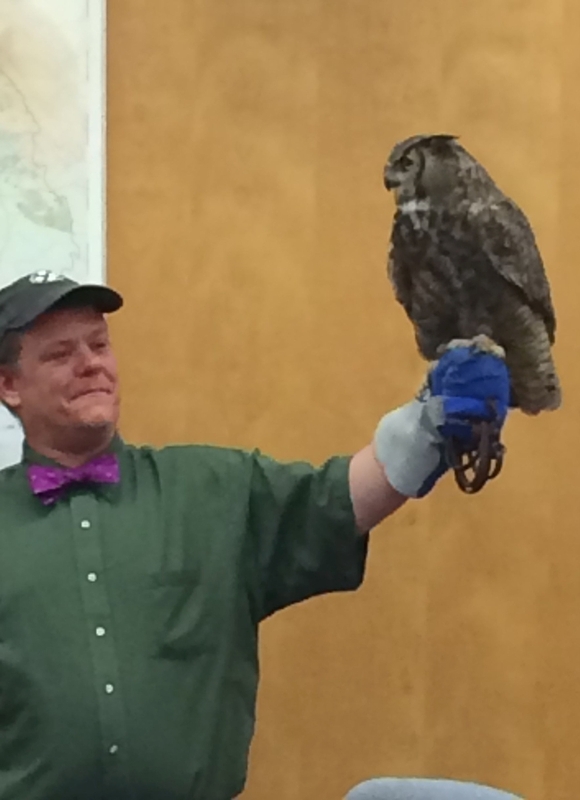 The Bird Rescue Center made a presentation and brought along a couple of friends including the Great Horned Owl pictured here. It was raised by humans so it cannot hunt, but it is a really good ambassador for the Bird Rescue Center!